Samsung's One UI is the new custom interface the company spreads over Android. It looks in its own way and it has some functions and features added, moved around, or expanded upon. 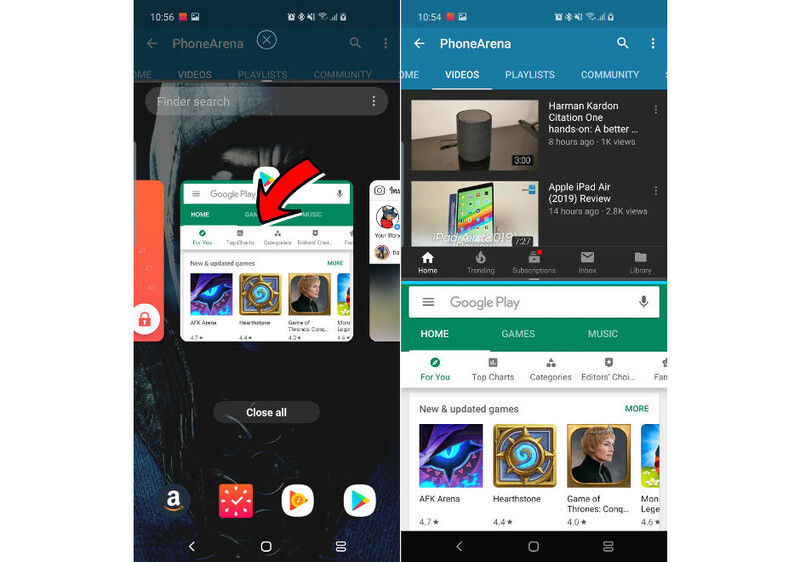 One feature you might be missing is the split screen view — back in Android 8 Oreo days, you'd just need to tap and hold the Recent apps button and you'd enter Split screen mode. Try this today and you get... nothing. But fear not, Split screen is actually still here! It's just hidden in another place. 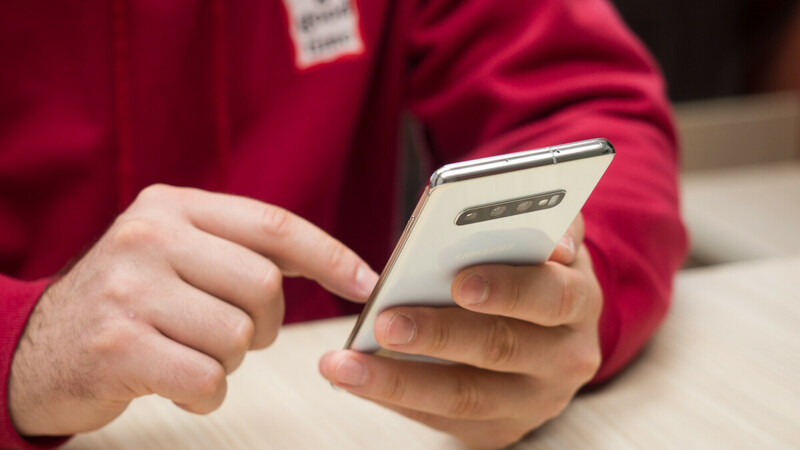 The following guide works for the Galaxy S10, S10+, and S10e, but also any other phone that has been updated to OneUI — S8, Note 8, S9, and Note 9. Yep, there's no holding, no double-tapping, so don't try it. 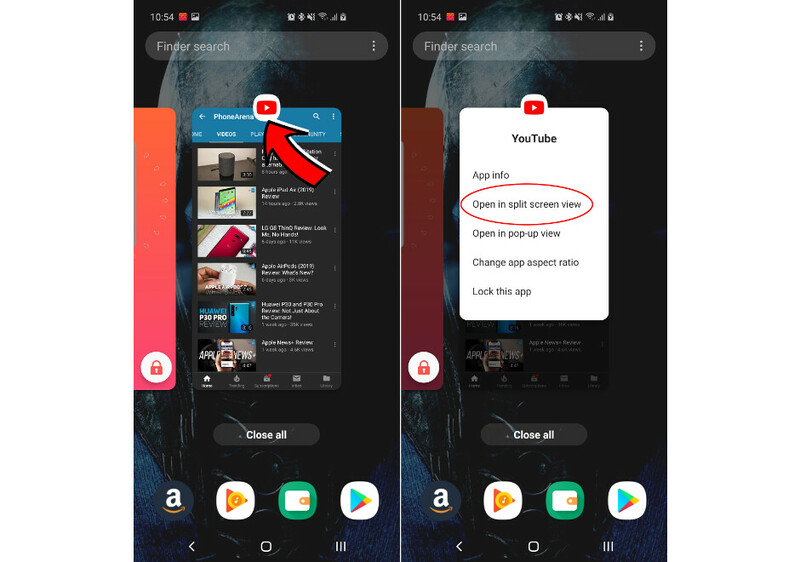 If you are using a gesture interface — swipe up from the Recent apps area. See the app icons that are located at the top of their representing windows? Well, tapping that icon will present you with a list of choices! Once you choose that option, the app you started from will remain pinned at the top of the screen. Then, you can choose a different app to nest in the bottom half of the display. Pressing Recent apps at any time will allow you to switch between apps in the bottom screen. 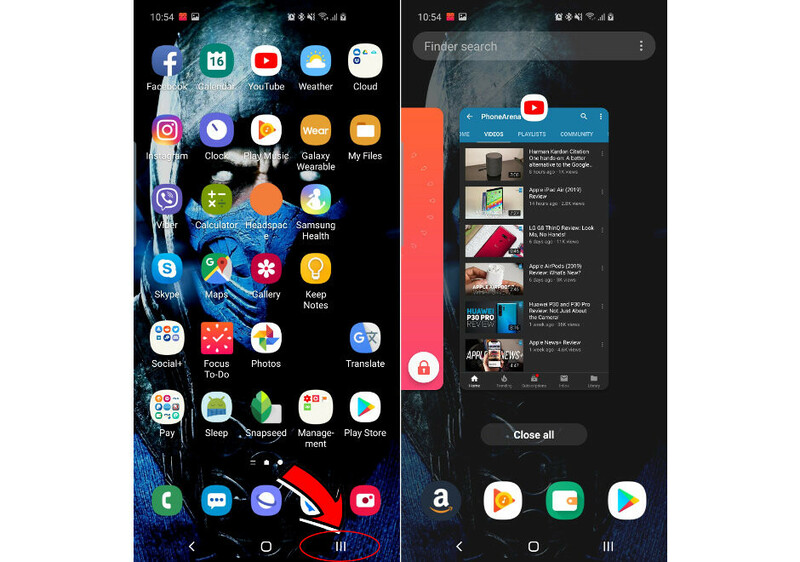 Pressing Home will give you the home screen but still keep the top app pinned. To stop using Split screen, just grab the separating bar, laying between the two apps, and swipe it all the way to the top or bottom. You may have noticed that the pop-up view is also here. Tapping on that will open the app in a floating window, which you can resize and place anywhere around your screen. 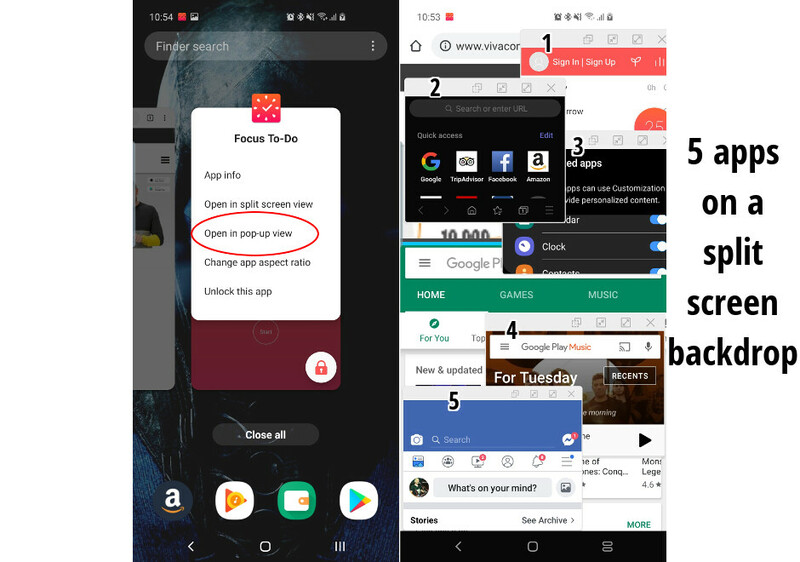 You can have up to 5 floating apps open at a time on top of two extra ones in split screen — assuming you have the screen space for all of them!